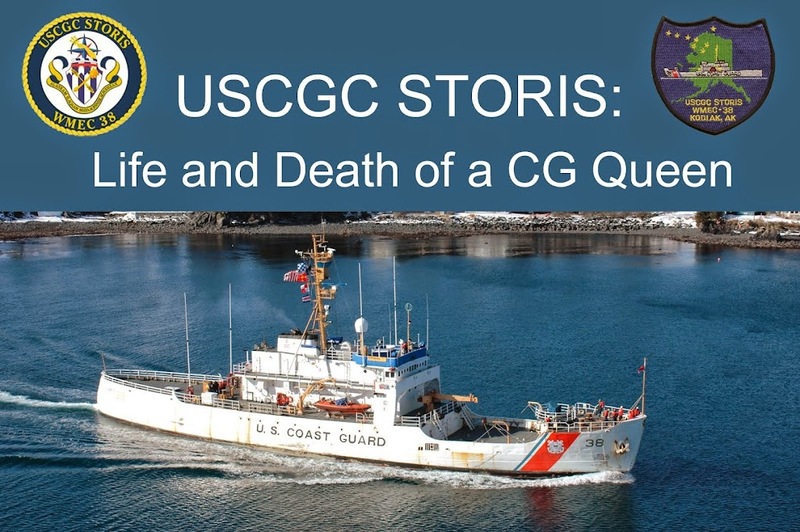 In one of her more dramatic law enforcement missions, on January 17, 1972, STORIS found two Soviet fishing vessels within the territorial waters of the United States. Radar picked up the two vessels inside the protective zone and upon further investigation, STORIS found the 278-foot fishing vessel, KOLJVAN offloading its catch to the 362-foot fish processor LAMUT in violation of U.S. laws. STORIS sent armed boarding parties aboard each of the Soviet ships and ordered them to the naval base in Adak, Alaska. 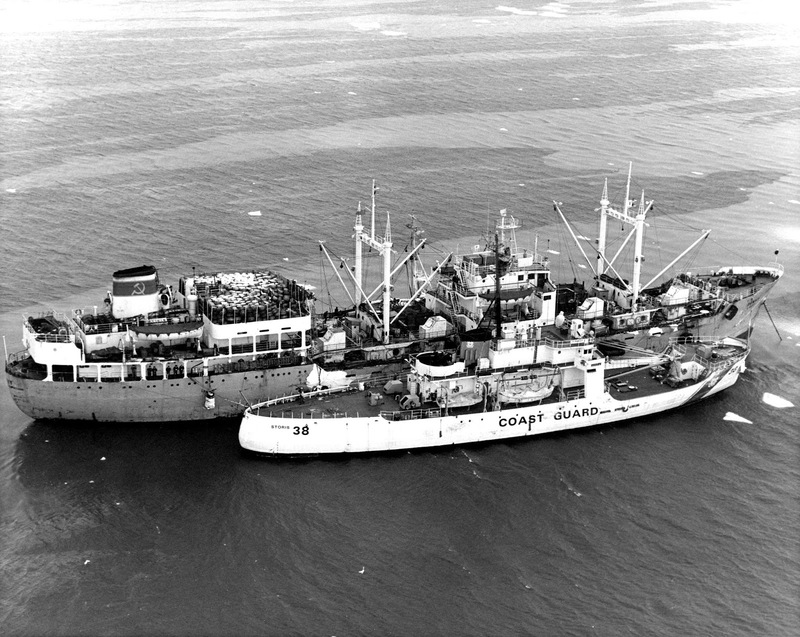 While the ships were in route to Adak, LAMUT attempted to flee with the Coast Guard boarding party still on board. After an intense one-hour chase, STORIS’ CO, Commander William P. Allen, received permission from the commandant to fire a shot across the bow of LAMUT. STORIS sent a message to LAMUT that she was prepared to open fire and the Soviet vessel stopped. STORIS arrested both Russian masters and took them into custody aboard the cutter. All three ships arrived in Adak and charges were assessed against the two Russian ships. Here she is moored alongside LAMUT.